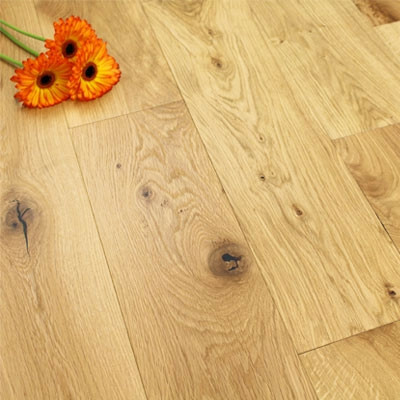 Engineered oak wood flooring consists of a top layer (lamella) of Oak, this is adhered to a plywood core to give stability and strength. The oak top layer runs 90 degrees to the plywood base to create a stronger and more durable board. The wear layer can range from around 2.5mm - 6mm, depending upon the exact flooring that you choose. This method of construction means that the planks of flooring are more stable when exposed to extreme conditions. 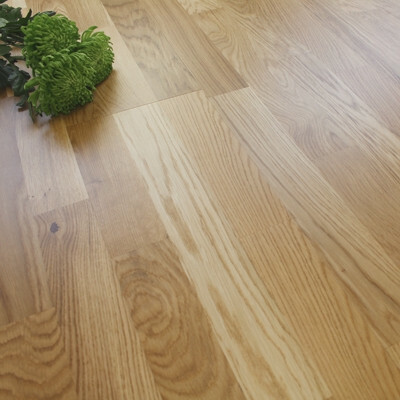 Engineered oak flooring can be floated over an underlay or fixed into position with flexible adhesive. 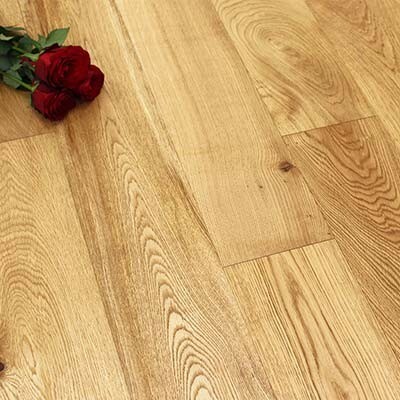 The planks of flooring can be made much wider and longer than solid oak planks as they have a stonger construction. 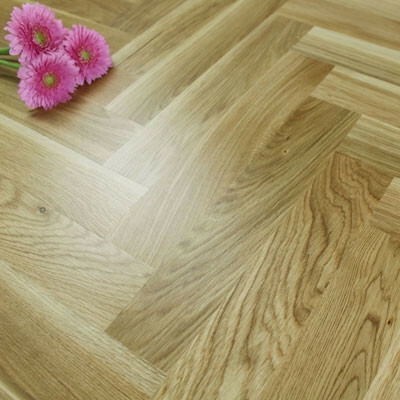 For more information about engineered Oak flooring, please read the following article: What is Engineered Oak Flooring? 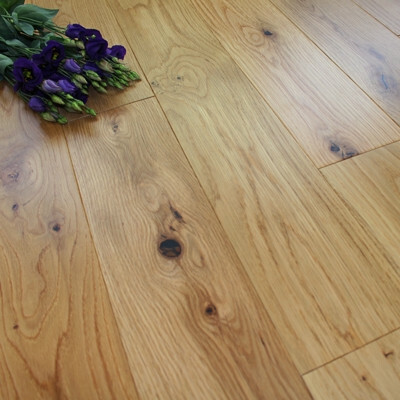 Engineered Oak flooring is a great investment for any homeowner. It offers character, charm and a timeless appeal, along with the versatility of fitting and the ease of cleaning and maintenance. 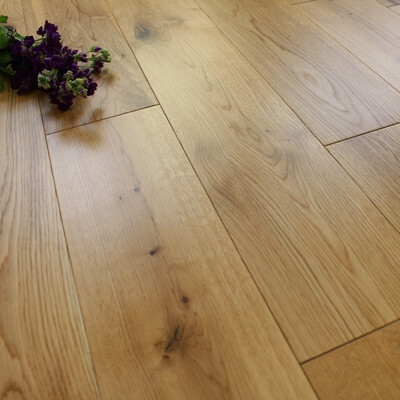 Engineered oak flooring is more cost effective than solid oak and can usually be found at around 20% cheaper. 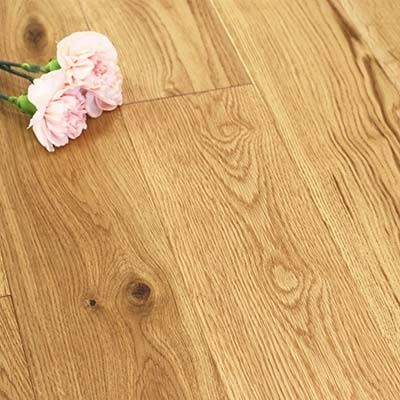 However, once your engineered oak flooring has been installed it would be almost impossible to tell whether it was a solid or engineered wood floor. The only part that you see (the wear layer of Oak), is exactly the same. 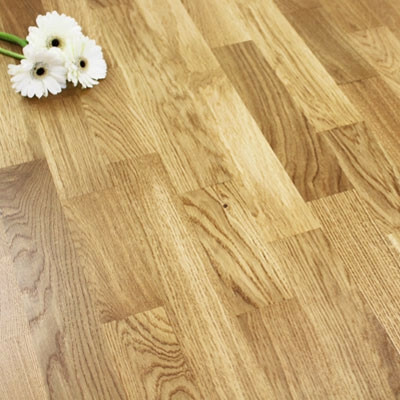 Engineered flooring is also very popular because of its ability to withstand changes in temperature and humidity, meaning that it can be used in kitchens, conservatories and even with underfloor heating. 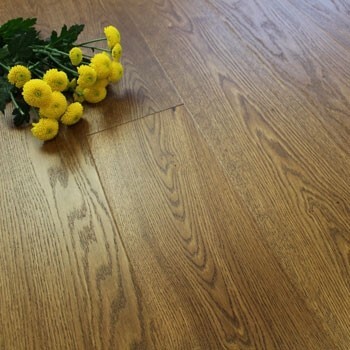 For more reasons why to choose this flooring, please see Advantages of Engineered Wood Flooring. 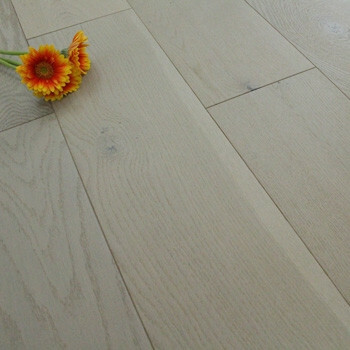 How do I install and maintain engineered oak flooring? Installing any kind of hardwood floor depends upon the type of subfloor you have and the type of hardwood flooring you want to install. Engineered Oak flooring is available with either a click fitting system or a more traditional tongue and groove fitting profile. Both of these can either be floated over an underlay or alternatively fixed directly down to the subfloor with flexible flooring adhesive. 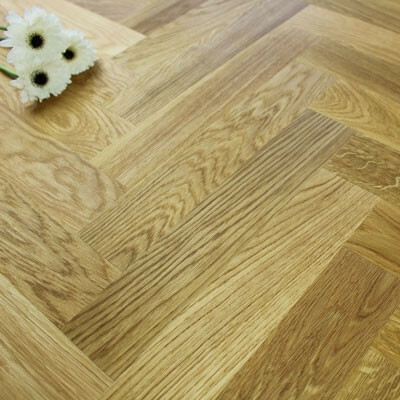 Once your new Oak flooring has been installed you will want to make sure it stays looking fresh and new for as long as possible. All types and species of hardwood floors are easy to look after of you follow some simple steps. Brush regularly with a soft bristle brush to remove any dust, dirt or grit, and then clean with a wooden floor cleaning spray and microfibre mop. To prevent unwanted scratches or dents from occurring, remember to remove outdoor footwear and use felt protector pads underneath furniture. If you would like to know more about cleaning your Oak flooring to maintain its beauty, have a look at our Cleaning and Maintenance Guide. To complement your choice of engineered Oak flooring, we have a wide and varied range of flooring accessories to choose from, including solid oak profiles. They will help to add the finishing touches by covering gaps in doorways, concealing expansion gaps around the edge of the room and hiding spaces around pipes. We also stock a full range of fitting and installation equipment and underlay. 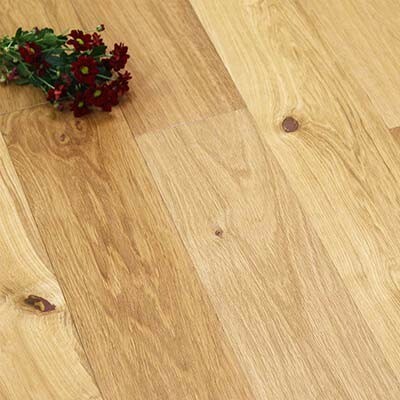 Engineered Oak flooring is by far the most popular choice of hardwood floors, but if you are looking for something slightly different then have a look at our solid wood flooring, laminate flooring or parquet block. For further advice and guidance on any of our floors, accessories or flooring products, please contact our sales office or pop into our showroom, where a technically trained member of staff will be happy to help.